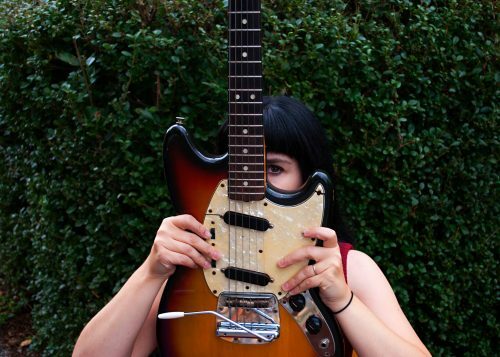 Lys is a Connecticut singer/guitarist with an eccentric country twang who’s put out two albums, three EPs, and a rarities collection since 2003. Her lyrics and music highlight the difficulties in communication that go with the difficulties in being human. We discuss “M.K.” from the I’m a Boy EP (Lys Guillorn and Her Band, 2017), “Silver” from Winged Victory (2013), and “When I Was a Tiger Lily” from Three Songs (2006). We conclude by listening to “Nothing to It,” another track from the new EP. Opening music: “Little Wren” from Lys Guillorn (2003); closing music: “I’m a Boy” from the EP. Learn more at lysguillorn.com. Here’s another interview (“Tell Me About Your Song” podcast) with Lys about “Turn the Page.” Here’s Lys playing solo just this last March on another of the EP tunes, “Boylesque.” Here they are as a trio playing “I’m a Boy.” Here’s that 2008 performance of “Tiger Lilly” with a lap steel player. Here she is harmonizing with Dave Hogan on a Gram Parsons classic.